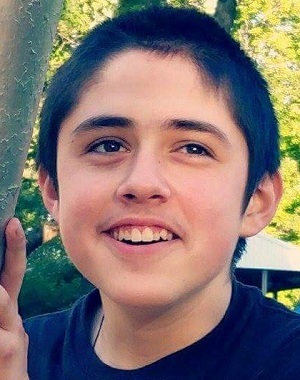 PARDEEVILLE – Christian Bernard Muniz, 16, of Pardeeville, passed away unexpectedly at St. Mary’s Hospital in Madison on Tuesday, May 22, 2018. Christian was born on October 1, 2001, in Madison, the son of Antonio and Kimberly “Kitzi” (Wells) Muniz. Christian enjoyed the Cartoon Network and watching all cartoon videos, Anime especially Hatsune Miku and Nightcore Music. He loved to laugh at his own silly jokes, be on the go and eat out (all the time, if he could). Even though he had autism, Christian was very smart, sweet, and loved by all. His absence will be felt so deeply forever. In keeping with Christian’s loving and generous spirit, it has been the family’s decision to donate his tissue so that others may live. His brain was donated for autism research to Autism BrainNet. He is survived by his parents, Antonio “Tony” and Kitzi Muniz of Pardeeville; sister, Kassandra “Kassi” Muniz; step-siblings, Anthony, Jessie and Rhianna; his Nana Sharron Wells; uncle and aunt, Tim (Terri) Wells and their children, Orion, Amerika, Tim Jr., his Aunt Josefina Muniz and her children, Kevin and Angel, his Aunt Maria Luisa Orozco and her children, Eduardo (Janette), Denisse (Frankie), and Jessica (Carlos), other relatives and many friends. He was preceded in death by his grandparents, Antonio and Josefina Muniz and Bernard “Bernie” Wells (his namesake); his Uncle Manuel; great-grandparents, Violet and Warren Thiessen; Doris and John Wells. Memorial services will be held at St. John’s Lutheran Church in Pardeeville, Wisconsin, on Friday, June 15, 2018, at 12:00 p.m., with Pastor William Runke officiating. Inurnment will be at Lowville Cemetery. Visitation will be at the church from 10:00 a.m. until the time of service. 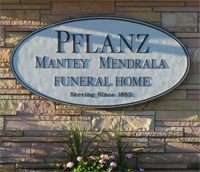 In lieu of flowers, memorials may be made to the family to be distributed to various autism charities.